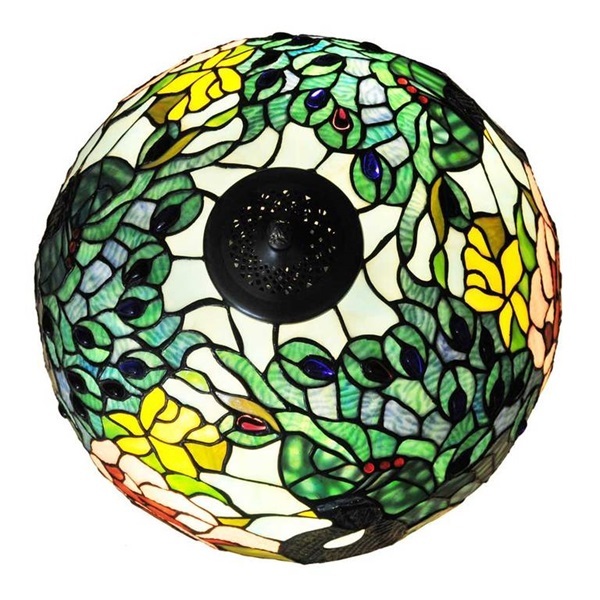 Absolutely Fab! 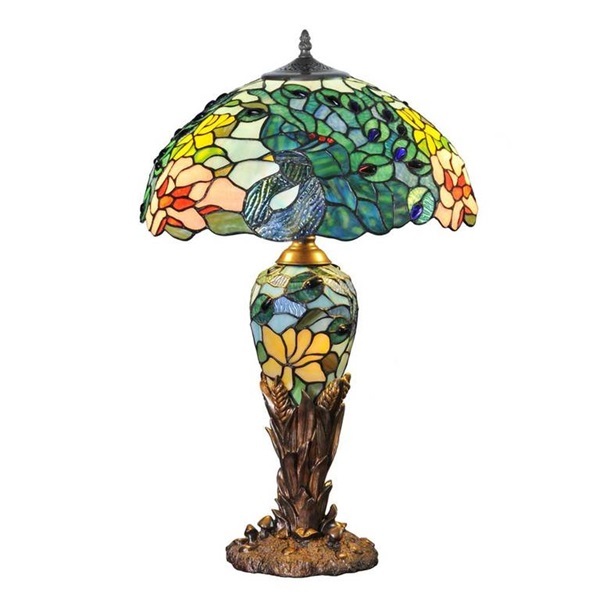 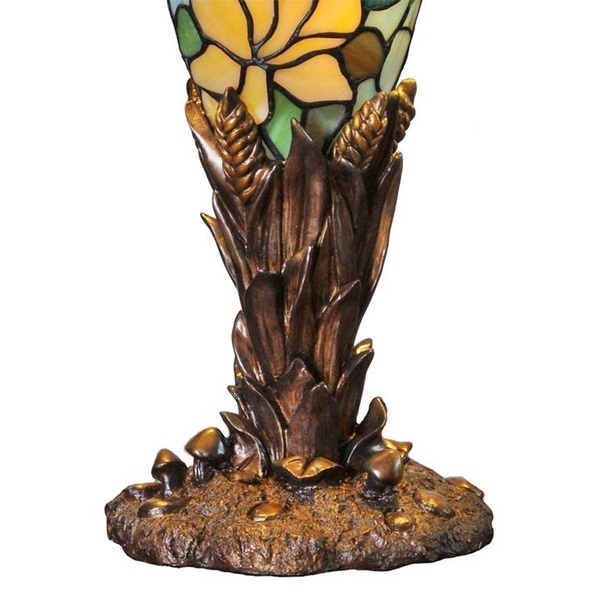 This stained glass lamp resembles a gorgeous peacock with multi-colored feathers delicately formed from 360 hand-cut glass pieces and 122 jewel-toned cabochons. 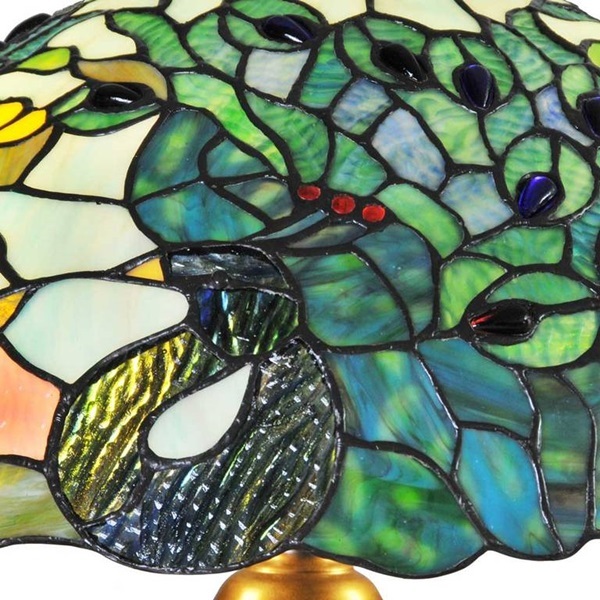 The lamp is so intricately crafted that it appears to be emerging from its base, which is shaped like leaves and peacock feathers. 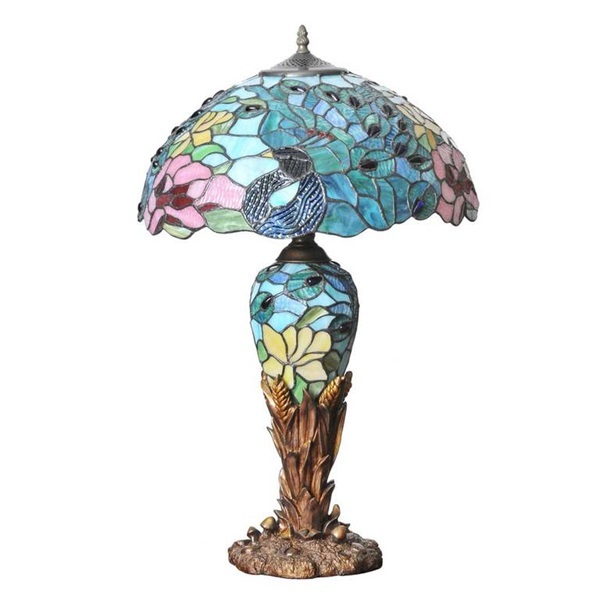 The base and the shade can be lit separately, allowing you to use the base as a night light or accent. This lamp is sure to attract attention be a stunning addition to any space you chose!